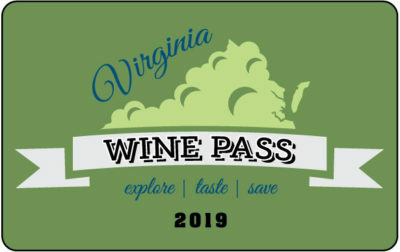 Every Virginia Wine Pass Membership is valid for two people through Dec. 31 of that same year purchased. Membership perks vary according to the tasting room; it is the member’s responsibility to verify the latest special offers on The Virginia Wine Pass website (and/or winery tasting room) and to confirm winery hours, dates of operations, appointment and/or reservation requirements with the venue etc. Wineries have the right to refuse service for any reason.Sorry, your Virginia Wine Pass may not be returned or exchanged.